I began publishing the New Hampshire Notebook in July of 2009 - the journey ends today. I've had a blast covering NH high school sports for the past eight years. 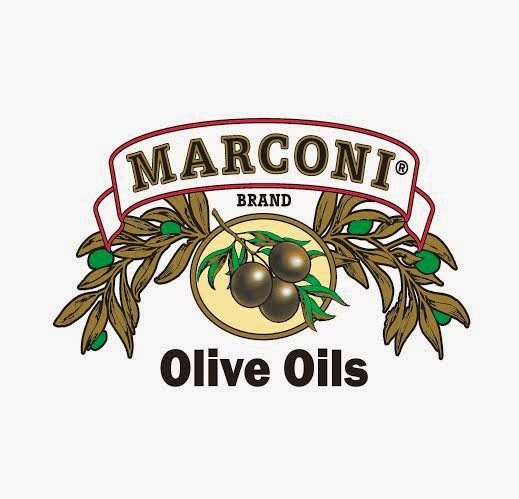 So many great memories. Seeing amazing games like Windham beating St. Thomas in the 2014 D-II football final, Bedford beating Keene in the 2012 D-II football semi-finals, Milford's "Big 3" winning back-to-back championships, The Somersworth boys amazing run to the D-III basketball crown in 2011, two amazing title games at UNH to cap the 2014-2015 season (Londonderry beating Pinkerton in D-I and Bishop Brady shocking Portsmouth in D-II). As for best girls games, it's hard to top Souhegan's amazing comeback to beat Lebanon in the 2011 D-II final, BG ending Winnacunnet's winning streak in 2011-2012 and Bedford beating BG in a tremendous final in 2013. Wilton stunning Epping in the closing seconds to win the 2015 D-IV boys basketball title game. I could go on and on about all of the great games. I've covered and interviewed players like Wenyen Gabriel (Kentucky men's basketball), Rebecca Ripley (Miami women's basketball), Tate Jozokos (North Carolina Lacrosse), Duncan Robinson (Michigan men's basketball), Lindsey Nerbonne (UNH women's field hockey), Joey Maher (New York Yankees minor leagues), Jordan Cote (played minor leagues for New York Yankees), Mike Fransoso (played minor leagues for Pittsburgh Pirates), Tiffany Ruffin (Boston College women's basketball), Aliza Simpson (UNH women's basketball), Katharine Fogarty (UNH women's basketball), Jamie Sherburne (Niagara women's basketball), Kaleb Joseph (Syracuse then Creighton men's basketball), Kaleb Tarczewski (Arizona men's basketball, now playing professionally in Italy), Carson Desrosiers (now playing professionally in Europe after playing college ball at Wake Forest then Providence), Abby Streeter (URI women's basketball), Madison Springfield (Marist women's basketball), Melissa Frase (Lowell women's basketball), Kirsten O'Neil (UNH women's soccer), Gabby Hunter (Dartmouth women's basketball), Ian Sistare (Dartmouth men's basketball), Collin McManus (Penn men's basketball), Mike LeBlanc (Princeton men's basketball), Scott King (Stony Brook men's basketball), Tyler Livingston (Lowell men's basketball), Mike Auger (Penn men's basketball), Libby Underwood (William & Mary women's basketball), Ricky Holt (UNH football), Jake Kennedy (UNH football), Jake Kiley (Penn St. football), Caleb Green (Holy Cross men's basketball), Geo Baker (Rutgers men's basketball) Tshiefu Ngalakulondi (St. Bonaventure men's basketball), Morgan Andrews (USC women's soccer), Amanda Torres (UNH women's basketball), Max Curran (UMBC men's basketball), Luke Rosinski (UNH men's basketball) and the list goes on. Then there's legendary coaches I have had the pleasure of covering and interviewing. Like Ed Beattie, John Fagula, Tim Kehoe Gary Jenness, Bill Ball, Chuck Lenahan, Brian O'Reilly, Dan Parr and Jim Mulvey. Beyond the great games, players and coaches I will also remember all of the great people I have met. The players, coaches, parents and fans who have supported the site, said hi or shook my hand at games, sent me e-mails - it let me know that people truly cared about the work I was doing and made it all worth it. I can't go any further without thanking our sponsors and folks who made donations to the site. A sincere thank you also to Tom Zapora a.k.a. Tuesday & Friday, and Ross Laorenza for their hard work helping cover games. You guys are awesome. Senior POY Ryan Milliken scored 23 points to lead Lebanon to their first basketball state title since 1998. The accomplished senior played all 32 minutes and did everything in this game to ensure the Raiders captured the championship plaque. Milliken not only stirs the Lebanon drink, but he is also the ice cubes, the ingredients and the glass that holds everything in Lebanon boys’ basketball. Okay, this is going to be the understatement of the year. 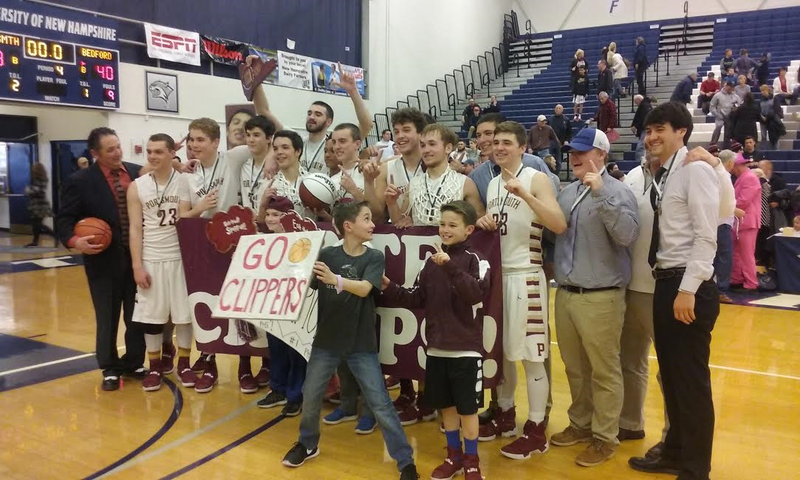 Portsmouth boys basketball is GOOD. Portsmouth went undefeated last year in D-II, beating previously unbeaten Lebanon easily in the final. With their top 4 players all returning, the Clippers moved up to D-I this season. Portsmouth did it again, going undefeated. They beat Bedford 63-40 on Saturday afternoon to win the D-I title. Moving up a division in basketball then going undefeated. This has never been done before in the NHIAA - until now. Portsmouth made history today. Back-to-back undefeated seasons. 43-0. 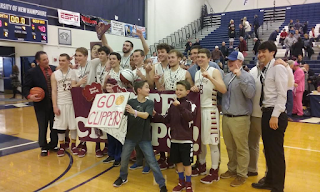 The Fourth state title in the last 11 years for Portsmouth under head coach Jim Mulvey, who is widely regarded as the best boys basketball coach in the NHIAA. "Going undefeated my senior year - this is the greatest feeling in the world" said Portsmouth senior guard Christian Peete. "Back when we were in D-II we used to beat D-I teams in scrimmages. So I thought we'd be good, but I didn't think we'd go undefeated." Junior Scott Spenard scored 18 points and his older brother senior Shawn Spenard scored 11 to help Coe-Brown beat Milford to advance to the Title game this Saturday at Noon at UNH vs Lebanon. These 2 brothers are the double straws that stir the CB drink. Scott, with his angular drives to the basket and Shawn with his defense, good rebounding at 5’9, are the look-a-like Coe Brown Catalysts. Milford had a good start to this game and seemed to relish the role of being the better seed. A Shane Winnett layup with 1:32 left in the 1st gave Milford a 12 – 4 lead. CB was looking for answers as they were struggling. It was almost like Scott Spenard said, “Climb on my back boys. I’ll get you back in the game.” In the next minute Spenard went on a 7 – 0 run. He had a runner, a 3 and another slash drive to close the CB deficit to 12 to 11 at the end of 1. So, when was the last time you saw someone who scored ZERO points in a headline in leading their basketball team to a big victory? Probably never. After watching last night’s Portsmouth thrilling semi-final victory I can say with full confidence I had no problem putting Portsmouth 5’11 senior guard Christian Peete in the headline for this article. Here is Pesky Peete’s stat line: 0 points on 0 – 2 shooting, 3 rebounds, 2 fouls, 1 assist and 1 steal. This isn’t exactly what you would call a player of the game stat line. Let me give you one example of how Pesky Peete is a game changer. With 5:57 left in the 3rd period Portsmouth missed 2 FTs. On the 2nd missed FT the rebound was secured by a Winnacunnett Big. Peete came over to be a defensive pest and forced the Winny Big into deflecting the ball off his leg to give Portsmouth back possession of the ball. Peete did a similar play like this numerous times to Winnacunnett. When the Warriors shut down the Clippers defensively and gain possession of the ball Peete would scheme a way to steal the ball back or force a Warrior into a turnover to give the ball back to the Clippers. This would lead to more offensive time for Portsmouth and less offensive time for Winnacunnett. Bedford seniors Liam Greene and Troy Meservey combined for 28 points to help lead Bedford to their first ever D1 Championship game to be played against Portsmouth on Saturday at 3:00 pm at UNH. 22% is all you need to know about this game. This is the percentage the Red Raiders shot in tonight’s game on 13 for 57 shooting. D1 POY, Cal Connelly, wasn’t even in double figures to start the 4th quarter. The Bedford defense combined with the cavernous shooting background of UNH spelled doom for the Red Raiders. Senior Molly Dee and junior Caroline Hoffer combined for 31 points to help lead the Lady Cardinals to the state title at the Penmen Fieldhouse. Senior Meghan Cramb punctuated an excellent career by scoring 12 points in the title game. For Sue Thomas’ Bedford squad the most important task to do in the first half of this game would be to take care of the ball and limit turnovers. The last time these 2 teams played at Bedford the Lady Bulldogs committed too many turnovers and were blown out by BG. The Bedford Bulldogs have advanced to the D-I semi finals after a 47-41 win over Merrimack. Junior guard, Max Chartier led the way offensively for the Bulldogs, scoring 24 of the team 47 points. Bedford opted for a zone defense which worked so well in the regular season match-up between the two squads. The Tomahawks struggled to crack the zone early one only managing 6 first quarter points. Saturday at SNHU featured four teams searching for a title, with one trying to cement their legacy in New Hampshire Highschool sports history. The D-III match-up between Monadnock and Contant was a hard-fought game won by the Huskies 44-36. Sunapee won their third straight D-IV title in the second game, 72-59 over Colebrook. A physical game lead to some extra pushing, shoving and a near punch thrown in Campbell's 61-52 win over Monadnock Regional. Late in the third period Sean French was knocked to the ground by Monadnock's Jake Wood as both players rushed for a loose ball. Wood had set some hard picks in the first half, all legal, but some Campbell players seemed to take offense. Joaquin Heller got in the face of Wood who then brushed him off. All players were separated and Heller was assessed a technical. Late in the fourth French was sent to the bench after aggressively challenging for a rebound and taking Monadnock's Tim Santaw to the ground in the process. 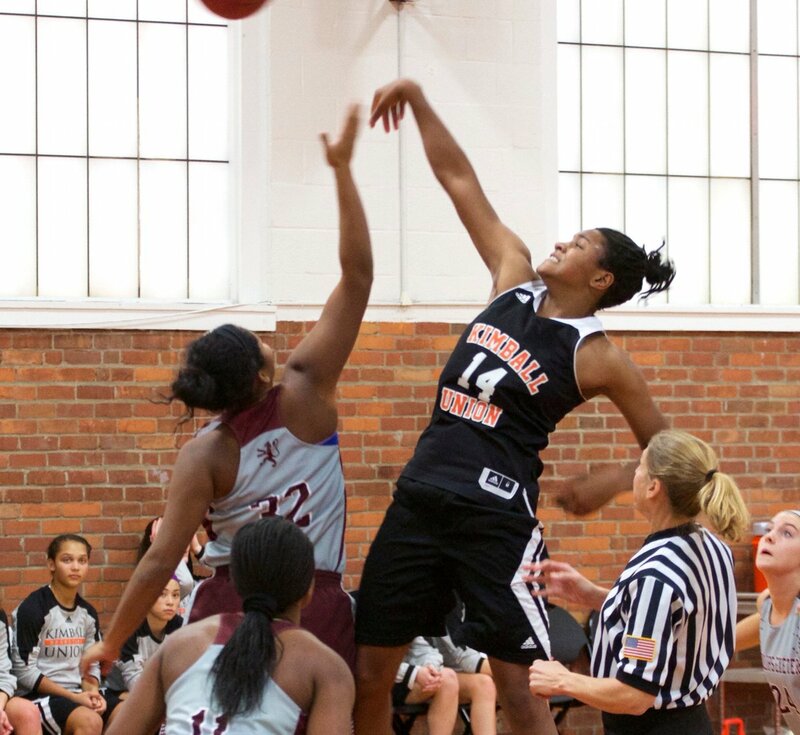 One of the top girls basketball talents to ever come out of New Hampshire has made her college decision. Taylor Soule, a resident of Lebanon, NH and a junior at Kimball Union Academy has given her verbal commitment to Boston College head coach Erik Johnson. "I had offers from UNH, UMASS AMHERST, Marshall University, URI, Cincinnati, Delaware, Boston College, Fordham and Providence" Soule told the NH Notebook. "In the end I choose BC because of how the overall school made me feel. The campus is absolutely beautiful. The coaches are great and caring people who I know I will learn a lot from. I'm really excited." BC is 9-18 on the season right now in ACC play. The ACC is one of the most competitive women's basketball leagues in the country. "I know how competitive the ACC is so when choosing where I wanted to continue my basketball career I had to think about conference and what kind of program I wanted to be a part of" explained Soule, a 6-foot wing forward. "A school like Boston College who's sometimes perceived as a smaller named school, will have a lot to prove playing against some of the biggest names in women's college basketball but I know they play with heart and never back down. I want to be part of a team chasing something big while playing with purpose and I know that's what the people at BC are working hard to achieve." Nashua North improves to 6-6 after a 57-55 overtime victory over the Spaulding Red Raiders. With 9 seconds remaining in OT Spaulding was called for a 5 second violation on their inbounding attempt. Ryan Lynn did a great job blocking any possible passing lanes using all of his 6'5" frame. Alonzo Linton caught the ensuing high, lobbing inbound for North and was fouled with 7.7 to go. Making 1 of 2 at the line the window was open for one final shot. 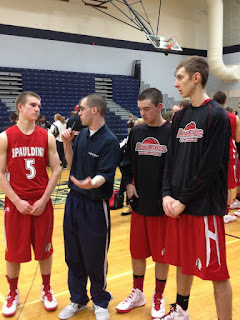 Spaulding's Cal Connelly took an of balance three at the buzzer, but it was well short. After the very frustrating loss Raiders coach Tim Cronin noted, "You can't just walk on the floor and win." The Saint Anselm College women's basketball team has added another local standout to its 2017 recruiting class. Jenoyce Laniyan (Bedford, NH), one of the NHIAA's top prospects has committed to the Hawks. Laniyan will join fellow granite-stater Kaitlyn Petrocelli (Merrimack, NH) at St. A's in the fall. The pair committed just days apart. Laniyan is 6-foot-1 and Petrocelli is 6-foot-2, so clearly head coach Julie Plant is looking to add more size to the roster. This isn't surprising, as two of the three seniors on this year's squad are 6-foot-1. "This was a complete coincidence" said Laniyan, about her and Petrocelli both committing to St. A's at the same time. "I have known Kaitlyn from our days with the New England Crusaders. I am excited and look forward to playing with her." Laniyan played for Manchester Memorial as a freshman before transferring to Bedford. She has developed her game there, as well as by playing with the NE Crusaders on the AAU circuit. She decided that St. A's was the best fit compared to the other schools recruiting her. "It started out with a lot of interest from Division I schools" Laniyan explained. "They all happened to be too far away. I did visit one of them." Laniyan has good strength and is very athletic for a player her size. She is expanding the range on her jump shot and is improving her post moves and footwork. She is a solid rebounder, post defender and runs the floor well in transition. "I chose St. A's because I like the campus" Laniyan continued. "The team is a great fit as far as what they were looking for in me as a player. It is so much as in your style of play will fit in our system. Playing close to home is a bit of a factor for my family. Personally the fit is the deciding factor. I was comfortable with the coaching staff and the team. It helped that I know some of the players." Laniyan's Bedford team was the runners-up in NHIAA D-I last season, falling to Bishop Guertin in the final. She hopes to get the Bulldogs back to the finals this season and in her career with a state championship. "We have been working hard this season" Laniyan concluded. "If we all stay focused and continue to play together as a team we can win it all." The Winnacunnet girls basketball team improved to 6-5 on the season with a 40-35 victory over Trinity. The Warriors led by 9 with under a minute and a half, but saw the Pioneers come on strong late in the 4th quarter. Two free throws from Emily Britton finally put the game out of reach. "I think that Trinity never stopped playing, and in a game like this tempo was so important..." said Warriors head coach Cassie Turcotte. "Games are all about momentum and all about runs, and Trinity's run was well timed to narrow out that gap at the end, to make it a lot closer of a game than I was comfortable with."